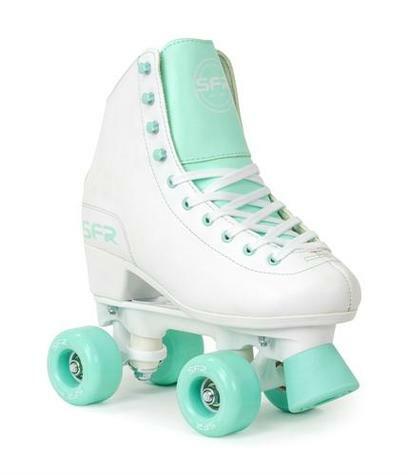 introducing the SFR Figure Quad Skates. An elegant figure style upper using the classic white base, with a splash of pastel heaven! Choosing our favourite colours, these skates are perfect for those who love to stay classic but still want something a little bit different. Ideal skate for beginners to intermediate skaters.